I was in a good mood and wanted a desktop image that fitted my mood. This little digital painting put a smile on my face and is really a lovely combination of cuteness, prettyness and excellent colours! This work is called ‘Love and Happiness’ by Paulette Arochena. The Totoro Forst Project Auction Benefit Event took place on September 6 and I’m very happy it was a great success, tickets were sold out in 48 hours! After my previous post I’ve been closely following this initiative on their blog and I’d like to put some of the works of art from this cool initiative in the spotlight starting with Alive by Enrique Fernández. In this work Fernández tries to capture the aliveness of the forest, thereby touching upon the topic of the difficult relationship between us humans and nature: do we really care about nature? Of course we do! Well, I do at least, but I know many people who don’t care at all and that’s very sad. 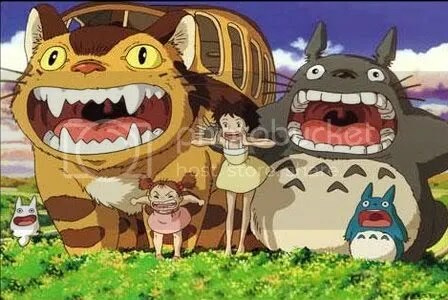 That’s why these initiatives are so wonderful, especially coming from a company like studio Ghibli that has a worldwide platform. Fernández further more wants to put a smile on the face of the viewer and he certainly succeeds. 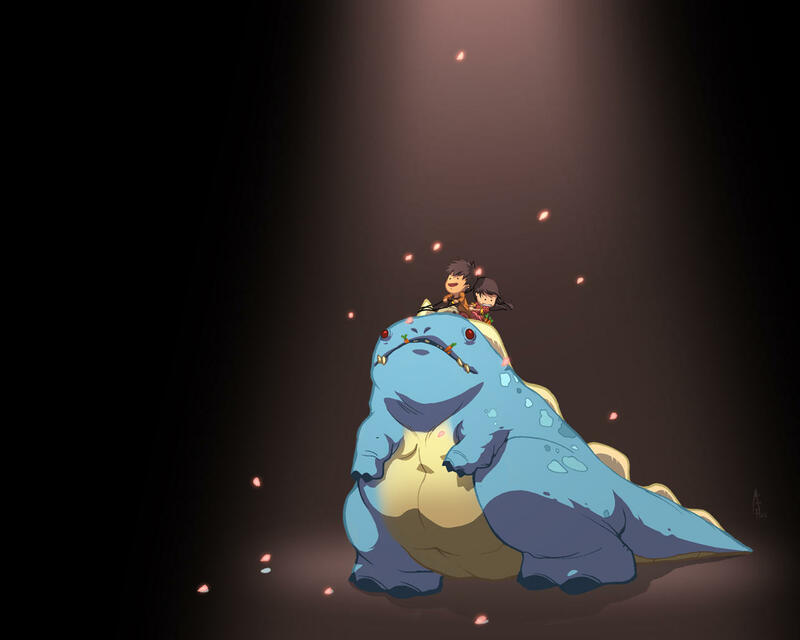 He has really drawn inspiration from Miyazaki’s My Neighbour Totoro and the creatures are absolutely adorable! Like always, I was just casually browsing the net (avoiding work on my dissertation) and I came upon this initiative by Hayao Miyazaki. Totoro Forest Project is a collaboration of artists to save the Sayama Forest (the forest that inspired Totoro). I love these initiatives that bundle creativity for a noble cause!